The parents of a brain-damaged baby in a dispute with doctors over his life-support treatment have been at the High Court today. Police are appealing for witnesses after a collision between a pick-up truck and a motorcyclist. Emergency services were called to Consort Road, close to the bus garage at 5.33pm on Saturday 30th April. At 6.52pm a 51-year-old male rider was pronounced dead at the scene. His next of kin have been informed. Detectives from the Met's Roads and Transport Policing Command are now investigating the incident and would like to speak to anyone who saw the collision or the moments leading up to it. Detectives investigating a linked series of violent attacks on women in south London have increased their reward for information to £20,000. Plans to build flats next to the Bussey Building in Peckham have been withdrawn after opposition from residents and businesses. A 16-year-old boy has been arrested in connection with an attack on a heavily pregnant woman. The teenager was questioned on suspicion of conspiracy to commit GBH and child destruction after Malorie Bantala lost her unborn child. She was eight months pregnant when she was assaulted near her home in Peckham in June. Two other people have been charged in connection with the case. The teenager has been released on bail. The 20-year-old was attacked and killed a week ago at East Surrey Grove in Peckham. 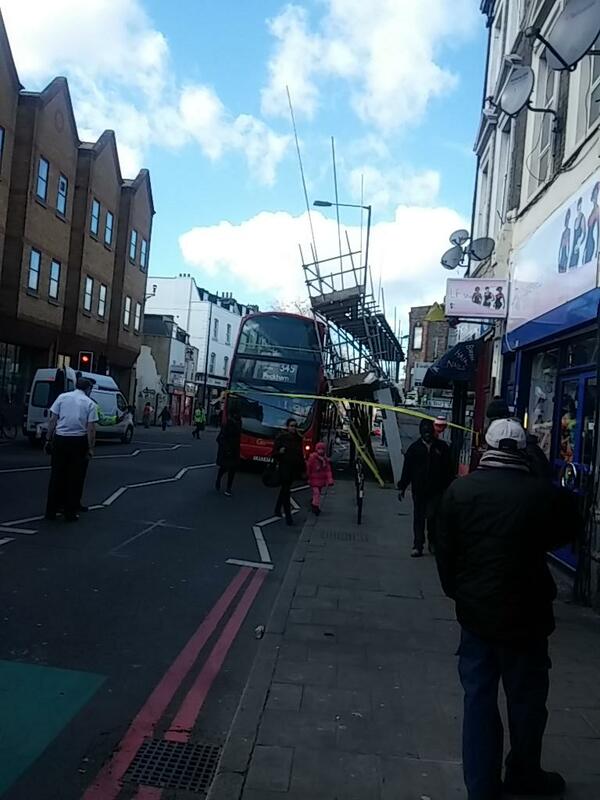 A double-decker bus was hit by falling scaffolding in Peckham High Street today. The scaffolding struck the number 345 shortly after 11am. No one was injured. At around 11am this morning some scaffolding collapsed on a route 345 bus as it was driving down Peckham High St, at the junction with Basingcourt. The bus was in service at the time and there have been no reports of injuries. We will work with the emergency services who will be investigating this incident. The unloved property in Peckham is in need of some serious modernisation. Would you buy it?